This section presents the main types of widespread cardiovascular drugs used to treat arrhythmias. It is important to discuss the necessary medications before the reception with your doctor to understand their desired effects and possible side effects. Do not stop treatment with the drug, change the dose or frequency of the treatment without first consulting a doctor. Most antiarrhythmic drugs are grouped into 4 classes according to the classification of Vaughan Williams and their dominant cellular electrophysiological effect. Preparations of this class are further subdivided into subclasses a, b and c, which is based on their effect on the length of the action potential. Ic - do not significantly affect the action potential (without a shift): moracizine, flecainide, enkainide, propafenone. Preparations of Class I are also called stabilizers of the cell membrane. The word "stabilizing" is used to describe the decrease in the excitogenicity of the plasma membrane caused by these medicines. This group of drugs includes sodium channel blockers (drugs that stabilize the membrane), which block fast sodium channels, slowing conduction in the myocardium of the atria and ventricles, as well as the system of His-Purkinje. Preparations of this class are beta-blockers. Their action is based on the blocking of catecholamines on β1-adrenergic receptors, which allows to reduce the influence of the sympathetic nervous system on the heart. 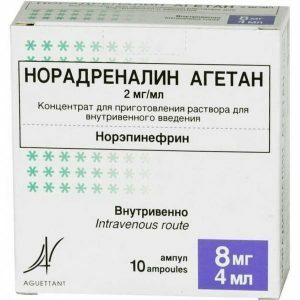 These agents are particularly useful in the treatment of supraventricular arrhythmias, as they reduce conduction through the AV node. Class II drugs include: carvedilol, timolol, bisoprolol, nebivolol, atenolol, esmolol, propranolol, and metoprolol. In all patients taking long-term beta-blockers, there is a decrease in libido, to a greater or lesser extent, depending on the drug itself. This side effect is more pronounced in men, although it is observed in women. Precautionary measures. Beta-blockers are not prescribed to all in a row. They should not be taken if there is bronchial asthma. They can cause severe attacks of shortage of air. If diabetes is diagnosed, it should be borne in mind that drugs may not allow the appearance of signs of hypoglycemia (for example, rapid heartbeat). If you still need to take them, you should often check the blood sugar level. 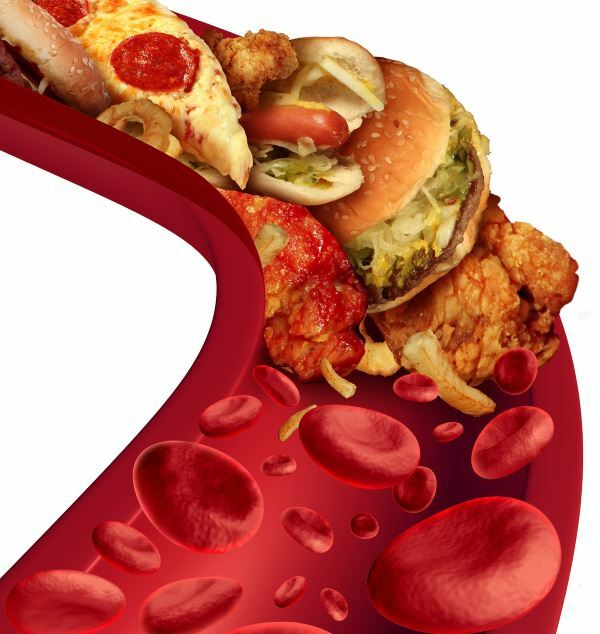 The drugs can raise triglyceride levels and lower the good cholesterol in the blood, but this is a short-term change. 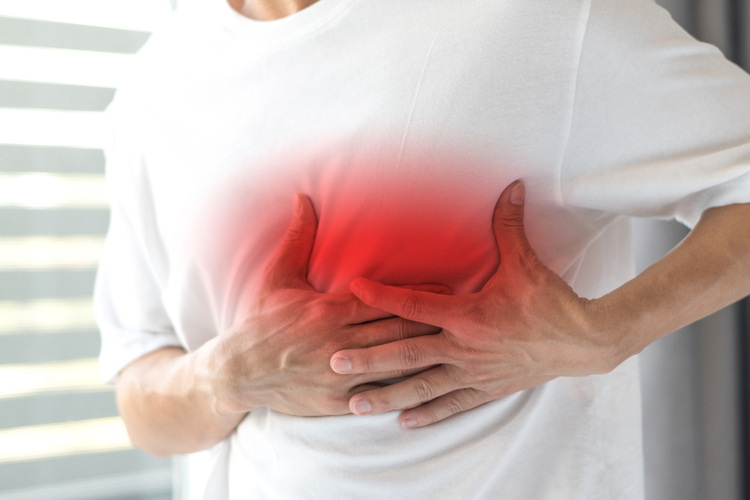 Despite side effects and precautions, you do not need to stop taking beta-blockers, as the drugs increase the chances of avoiding a heart attack or other problems. Preparations of this class preferentially block potassium channels, thereby prolonging repolarization. Since these agents do not affect the sodium channel, the conduction velocity does not decrease. Prolongation of the action potential and the refractory period in combination with maintenance of the normal conduction velocity prevents the development of arrhythmias arising on the principle of reentry. Representatives of the third class show an inverse relationship (their effectiveness increases with lower heart rates, which improves the maintenance of sinus rhythm). Inhibition of potassium channels, slowing repolarization leads to inhibition of repolarization of the atrioventricular myocytes. Class III drugs can prolong the QT interval on the ECG and have a proarrhythmic effect. Precautions . It is not necessary to use grapefruit and grapefruit juice, if calcium channel blockers are prescribed to treat arrhythmia. They can change the effectiveness of therapy for these drugs. Class III drugs include: brethilium, amiodarone, ibutilide, sotalol, dofetilide, vernacal and dronedarone. Preparations of this class are slow nondihydropyridine calcium channel blockers. They reduce conduction through the atrioventricular node and shorten the second phase (plateau) of the cardiac action potential. Thus, they slow down the frequency of cardiac contractions, so they are not always used for heart failure. However, unlike beta-blockers, they allow the body to maintain adrenergic control of heart rate and contractility. Class IV drugs include: verapamil and diltiazem. Digoxin (Digox, Lanoxin) reduces the conductivity of electrical impulses through the AV node and increases vagal activity through its direct effect on the central nervous system. Indirectly increases the production of acetylcholine, stimulating the M2 receptors in the AV node, which leads to a general decrease in the rate of conduction. 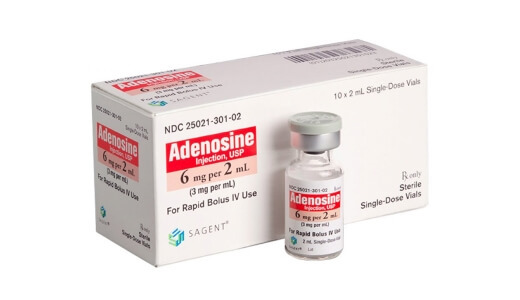 Adenosine - is used intravenously to stop supraventricular tachycardia. Magnesium sulphate is an antiarrhythmic drug used for specific arrhythmias. Trimagnesium dicitrate (anhydrous solution) - sold as a powder in its pure form, has good bioavailability. Prevent the formation of blood clots, which reduces the chances of developing a stroke. Slow down the heart rate, which allows enough time for the heart cells to fill with blood before pushing it further along the circulatory system. Control the heart rate, which allows the atria and ventricles to work together to better pump blood through the body. To control the heart rhythm used drugs from different pharmacological groups. Calcium channel blockers. Used to slow the heart rate in patients with atrial fibrillation and to reduce the cardiac contraction force. Digoxin . This medicine slows the rate at which electrical currents are conducted from the atria to the ventricles. After restoring the heart rhythm, the patient is selected drugs that help normalize the heart in subsequent attacks of arrhythmia (the so-called chemical / pharmacological cardioversion). When they are used, significant side effects can occur, so the attending physician will most likely want to closely monitor the treatment process. Blockers of sodium channels , retarding the ability of cardiomyocytes to conduct electrical impulses. Anticoagulants can reduce the chance of a stroke by 50% to 70%. These drugs increase the risk of bleeding, so take them very carefully, especially during games, sports or other activities that can cause injury and bleeding. While anticoagulants are being treated, bleeding and bruising should be monitored. It is necessary to monitor bleeding from the gums or nose, blood in the urine and in the bowel movements. During bathing, you need to use a soft washcloth, and to clean your teeth, pick up a soft toothbrush. Otherwise, bleeding may occur from damage to the skin and gums. It is better to use an electric shaver for shaving. It is important to tell the treating dentist and medical specialists that an anticoagulant is being taken. You can even put on a bracelet or badge, which indicates that a person is taking such and such a medicine. Do not start taking or stop using the medication unless the attending physician has told you about it. Also, many drugs can not be used with oral blood diluents (for example, NSAIDs in combination with warfarin increase the risk of bleeding, a similar effect is observed with the co-administration of an anticoagulant and a cytochrome P450 inhibitor).Weaken the action of the same warfarin vitamin K, barbiturates, rifampicin, carbamazepine, etc. It is necessary to inform your doctor immediately if you manage to skip the medication, or the prescribed dose has been exceeded. Warfarin is one of the most commonly used anticoagulants that may be needed during treatment of atrial flutter or atrial fibrillation. The following are recommendations that you should keep in mind if you have to take warfarin. Products and drugs can affect the amount of warfarin in the blood. Do not need to make major changes in your diet while taking warfarin. 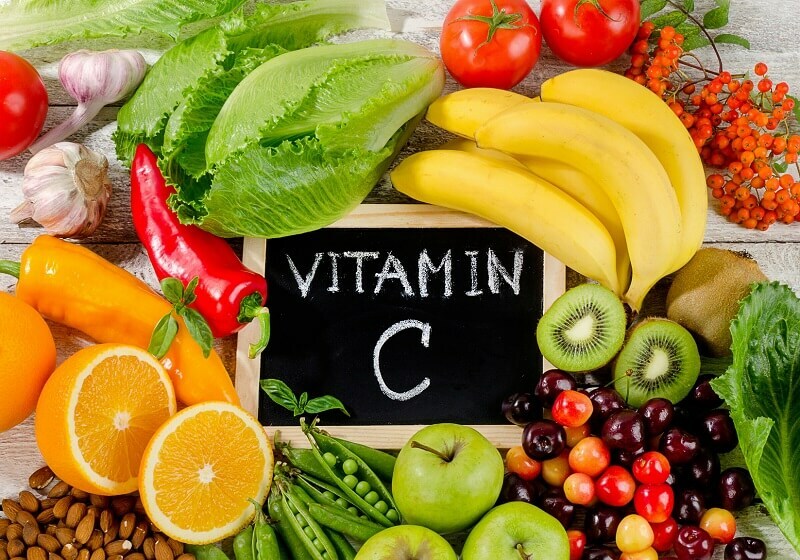 The drug works best when about the same amount of vitamin K comes in with food every day, as before or even more.Vitamin K is found in green leafy vegetables and some other foods. It is worth asking for more information about what is there when taking warfarin treatment. It will be necessary to visit your doctor on a regular basis when there is therapy with warfarin. 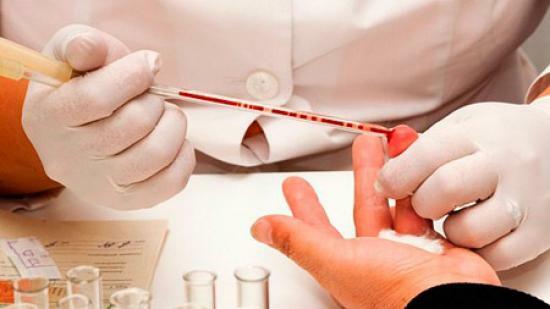 In particular, regular blood tests will be needed. These tests are used to determine the exact dose of the drug. Heart drugs that help control the rhythm of the heart. Anticoagulants that help prevent the formation of blood clots (blood clots). The main examples of diluents are heparin and warfarin. Clots can cause strokes, heart attacks and rapid death. Above, general safety rules have been given, which should be observed when using blood thinners. Cardioversion is a procedure by which the heart rhythm is normalized. For this, an electric current of a certain power is used in the region of the heart. Catheter ablation is a procedure that is based on the application of thermal energy to correct an irregular heart rhythm. Surgical intervention may be required for the implantation of a pacemaker or a cardioverter-defibrillator. This will help control heart rate and heart activity. It is important to know the target heart rate. For this you need to know how to determine the pulse and heart rate. It is necessary to control your blood pressure with the help of a medicine indicated by your doctor. No smoking. Nicotine and other chemicals in cigarettes and cigars can cause damage to the heart and lungs. You need to ask your doctor to provide information on how to quit smoking, if necessary. It is important to know that electronic cigarettes or smokeless tobacco still contain nicotine. Before using these methods of quitting, you should consult your doctor. It is necessary to limit the intake of alcohol. Women should drink up to 1 drink a day, men - up to 2 drinks a day. It is useful to eat healthy food. It includes fruits, vegetables, whole-grain bread, low-fat dairy products, beans, lean meat and fish. You need to replace the oil and margarine with olive oil and canola oil. It is important to maintain a healthy weight. If it is excessive, you need to ask your doctor to make a plan for weight loss. If you have any questions about taking medications or your health, you should also contact your doctor immediately. With respiratory sinus arrhythmia, specific drugs are not prescribed, since such a heart rhythm is considered a variant of the norm. Most often, children who are diagnosed with respiratory or sinus arrhythmia, this condition over time develops over time. Beta-blockers that slow heart rate, but most patients usually already take drugs from this group as a primary therapy for AMI. In acute ventricular fibrillation and ventricular arrhythmia, drugs (eg, vasopressin, adrenaline, amiodarone) are used after three defibrillation attempts to restore normal rhythm. Amiodarone can also be prescribed for a long period of treatment. Especially it suits those patients who refuse implantation of a cardioverter-defibrillator or do not meet the criteria for surgical intervention. However, as a primary prevention of ventricular fibrillation in patients with left ventricular depressions, amiodarone is most often not used. If, after repeated injection of lidocaine, the disturbed rhythm is not restored, use Aymalin, Novocainamide, beta-blockers. Ventricular fibrillation, like ventricular arrhythmia, can be triggered by an incorrect intake of cardiac glycosides. If there are signs of rhythm disturbance, it should not only wash the stomach after misuse of medicines, but also intravenously inject lidocaine together with sodium chloride or obzidanom. There are unusual bleeding or bruising. Often bruises or blood blisters are identified. Disturbing the feeling of sickness, weakness, dizziness. There is a probability of pregnancy. Often seen red, dark brown, black feces or urine. It became bad and hard. The head is very painful or there is a pain in the abdomen, which does not disappear. If it turned out that the dosage was forgotten, it is not necessary to guess, but it is better to ask your doctor what to do.Also, if you have to switch from one drug to another, you need to ask the doctor about the differences between the drugs. If necessary, tell other doctors and the dentist that anticoagulants are being taken, especially if a procedure is to be performed that can cause bleeding. During therapy with warfarin, it is important to report this to any other doctor who wants to prescribe a new drug. Some medicines and vitamins change the way it acts in the body. Patients with a low probability of developing complications with extrasystole and in the absence of other cardiovascular diseases and symptoms (or with minor symptoms) may not undergo specific treatment. In such cases it is enough to keep a healthy image and eat right, not to be stressed and not to lead an excessively active lifestyle. The presence of the patient's heart pathology, the risk of developing heart disease or symptoms of extreme severity is an indication for further assessment of his condition, as well as for treatment or follow-up. The drugs are beta-blockers (eg, atenolol, metoprolol). Radiofrequency catheter ablation of the focus of ectopic excitation (in suitable cases). Patients with high intake of caffeine or other stimulants may be advised to try to reduce their use, which will help to find out whether it improves their condition or the severity of the extrasystoles. If symptoms are unpleasant or severe, doctors usually prescribe beta-blockers (atenolol or metoprolol). Catheter ablation can be a possible treatment option for some types of ectopic atrial damage, using suitable physical methods (cold, electric current or high temperature). Severity and severity of symptoms. Reducing the consumption of caffeine (or any other stimulant) can try to find out if this reduces the severity of the symptoms. If treatment still needs to be done, consider mono-or combination therapy with beta-blockers. Treatment is not required, but these patients should be under long-term follow-up, with a periodic reassessment of LV function, especially in the presence of very high-frequency extrasystoles. Patients without cardiac pathology, but with frequent unifocal ventricular extrasystoles and especially with ventricular tachycardia necessarily undergo a course of drug therapy followed by an assessment of the state of the heart. Ventricular extrasystoles may indicate either the risk of arrhythmia or the severity of the underlying disease, in addition the risk of sudden cardiac death should be considered. Beta-blockers can be prescribed for either a major heart disease or because they are able to reduce the frequency or symptoms of ventricular extrasystoles. Implantation of cardiac defibrillators is performed if the patient is at high risk of severe ventricular arrhythmia. Catheter ablation is considered as an additional treatment. Also, any basic cardiac disease (hypertension, electrolyte imbalance, ischemia or heart failure) should be treated and the factors contributing to its progression eliminated. This disease is mainly corrected by the method of catheter ablation, but in some cases (according to the indications or preferences of the patient himself), long-term medication is prescribed. According to recent studies, although not randomized, a combination of drugs from propafenone and any beta-blocker allows most patients to avoid recurrence of the disease, with no serious side effects. Other small studies have evaluated the efficacy of propafenone in the treatment of Wolff-Parkinson-White syndrome in children. According to the results, in 20 children from 26 years old to 10 years of age, complete control of arrhythmia was achieved, and one had partial control. A number of studies have examined the acute and long-term efficacy of oral and intravenous flecainide in the treatment of patients with atrioventricular reentry tachycardia (AVRT), the developmental principle of which is the same as the syndrome of VPW. According to the data received, the oral use of flecainide resulted in inability to induce a stable tachycardia in seventeen out of twenty patients. Within 15 ± 7 months after treatment with oral flecainide, three patients developed a recurrence of arrhythmia. The addition of a beta-blocker led to more effective treatment, as more than 90% of patients had no symptomatic disease. Amiodarone has been evaluated in several studies on its effectiveness in treating patients with an additional way of impulses. However, these studies did not demonstrate the superiority of amiodarone over antiarrhythmic drugs of class 1C or sotalol. Active studies have also shown that amiodarone does not consistently prolong the refractory period of DPP and, as a result, can not be considered effective in preventing sudden death in all patients with WPW syndrome. 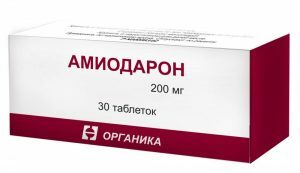 Thus, in combination with the well-known toxicity to internal organs characteristic of amiodarone and the high rate of discontinuation of this drug due to noncardial side effects, amiodarone usually does not play an important role in the treatment of patients with DPP. Verapamil, although less studied, can be moderately effective in the prevention of ERW syndrome. So far, no studies have been conducted to determine the long-term efficacy of procainamide or quinidine in the treatment of diseases with DPP.